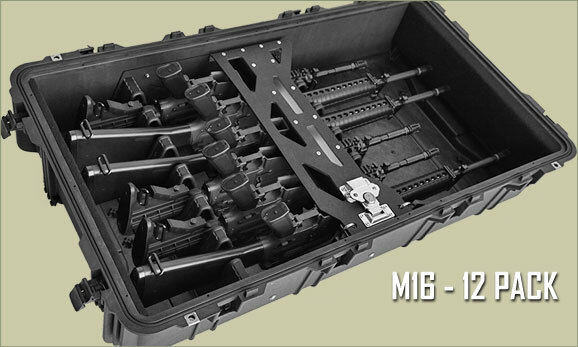 The Universal M16-12-Pack Gun Case has been engineered for quick deployment during critical mission operations. 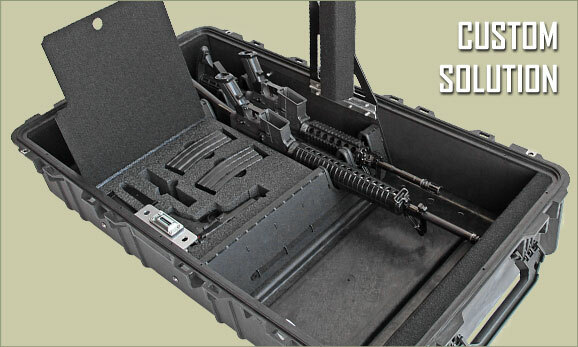 The two-half design also allows the carrying case to serve as a mobile firearms rack. 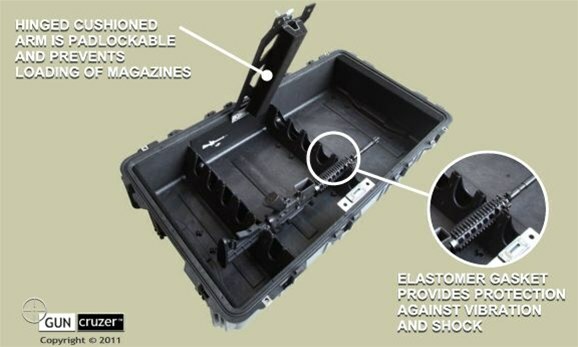 The GunCruzer M16 12-pack is airtight, watertight and dustproof. A humidity gauge changes color when conditions rise above 40 percent. 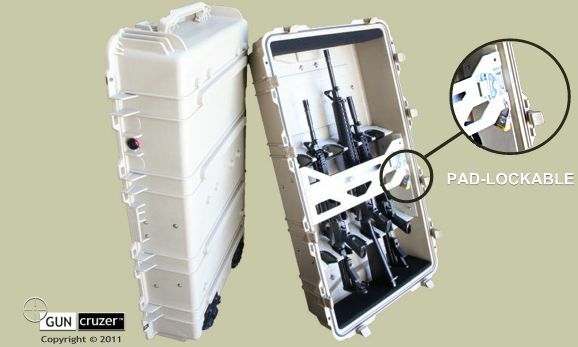 This weapon case weighs only 49 lbs. when empty. It is also DEF STAN 81-41 and STANAG 4280 certified. 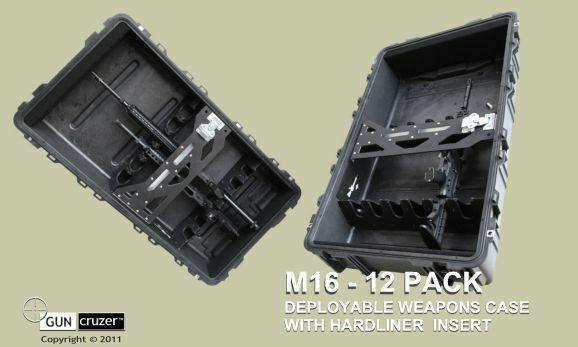 Exterior dimensions: 44.90"L x 25.32"W x 16.50"H. The 1780HL-M16-12-PACK is available in tan or color black. Usually ships in 3 to 10 business days. 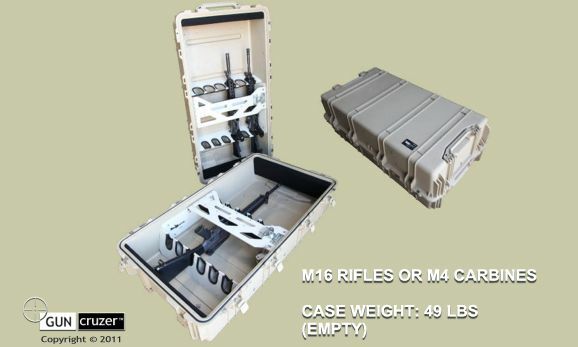 Case will hold any combination up to twelve M16 rifles, M4 Carbines or Remington 870 shotguns (with 14" and 18" barrels).